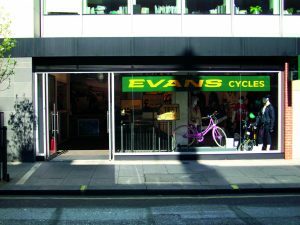 Bike retailer Evans Cycles went into administration, only to be bought straight back out by Sports Direct. The future of the retailer looked uncertain, as rival Halfords withdrew its bid to take it over, citing a desire to focus on expanding the Cycle Republic chain. Trading has not been affected at Evans, although gift vouchers are ‘suspended’ and the status of the cycle to work scheme is unclear. Gatwick-based Evans has a history stretching back to the 1920s, although in recent years the chain has expanded to 62 branches and 1,200 employees through the involvement of private equity. Sports Direct, the firm owned by Mike Ashley holds numerous other companies including department stores Lillywhies and House of Fraser and clothing brands including Firetrap, No Fear and Kangol. “We are delighted to have secured a future for the business and employees of Evans. 2018 has been a very difficult trading year for the business, in part due to the impact of the extended winter weather, but also due to a lack of cash to invest in stores and develop the ecommerce platform. A combination of the associated losses, the capex requirements and tightening credit has led to a liquidity crunch”. An initiative named the ‘Responsible Car Wash Scheme’ has been launched by the House of Lords. The Scheme aims to tackle modern slavery and a lack of compliance within the industry. It will target labour abuse and lack of adherence to regulations at hand car washes, whilst enabling consumers to identify a compliant car wash. Operators who are members of the Scheme will be able to be recognised by consumers as ones who: look after their workers, trade legally, adhere to environmental regulations and take care of their cu stomers and their vehicles. Brian Madderson, Chair of the Car Wash Association gave the scheme a more muted reception: “Whilst this is welcome news and will allow hand car washes to look after their workers, trade legally, adhere to environmental regulations and take care of their customers, it still leaves open the issue of the 20,000 hand car washes in the UK that operate illegally” he said. “Problems also include environmental damage from mishandling trade effluent, widespread disregard of the National Minimum Wage, modern slavery human trafficking and tax avoidance. 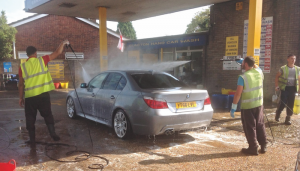 Figures suggest that hand car washes are failing to pay taxes, and up to £1.45 billion per year in tax is not being collected by HMRC” concluded Madderson. The Scheme will provide a resource for operators, providing them with information and guidance so they can operate legally. Once a member of the Scheme, operators will be able to display a Responsible Car Wash Operator logo which will enable consumers to make a clear choice between a fully compliant operator, that has been through the accreditation. Let’s not beat about the bush here: 2018 has so far been a terrible year to be a High Street retailer. There have been numerous high profile casualties such as Toys R Us and electronics giant Maplins as well as clothing retailers such as New Look, Claire’s Accessories and Jones the Bootmaker either calling in the receivers or announcing drastic restructuring. Even restaurants in the so-called ‘smart casual’ dining sector, which for a long time were lauded as saviours of dwindling town centre, seem to have hit bad times. Carluccios, Prezzo and pretty well all of the outlets in TV chef Jamie Oliver’s portfolio have announced drastic closure programmes. It isn’t ideal. Nonetheless, traditional accessory shops have adapted as best as they can to the changing face of the retail environment: The days of Ray D’Ator (CAT’s longtime accessory shop owner turned columnist) scowling at people over the counter, and his attitude of ‘you don’t want it looking too smart, people will think they can’t afford it’ are well and truly over. Richard Shortis, Managing Director of regional chain Wico, said: “The range of product has increased as a result of the changing marketplace. 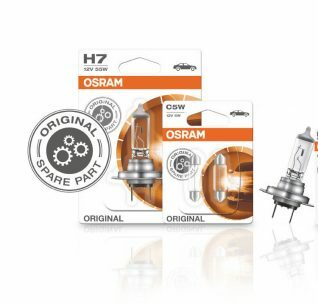 Gone are the days of two different headlight bulbs, now there are about 10 – and that’s not including all the different upgrade versions.” Shortis adds that a noticeable change in the key categories of bulbs and wipers is that (with the possible exception of high-output bulbs) the parts wear out more slowly, and need changing less frequently. However, more customers are asking for the bulbs and blades to be changed for them, which Wilco will do for a fee. “The other issue is that the Push bike sales in decline venture capitalist have come into the cycle industry… and we all know how they were when they went into the motor factor side of our trade,” said Richard Shortis, adding that pedal-electric bikes were a growing segment, albeit one that was growing from a very low base. So the message from the market is adapt fast and respond to new trends – and don’t be afraid to try something new. Just be prepared that not every new trend (particularly in our sector) is going to fly. David Williams takes us on tour around Michelin Licensee Future Developments. Stoke-on-Trent is known as the Potteries for its heritage in throwing all kinds of clay, from fine bone china to toilet pans. However, in recent years the city has become a logistics hub housing many distribution centres. 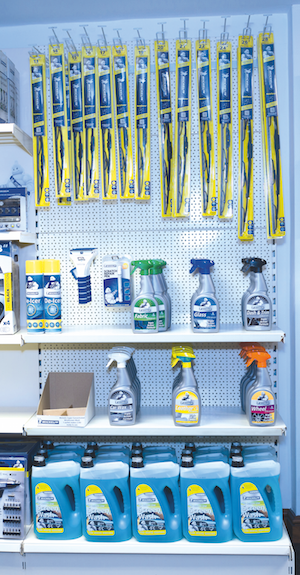 A major player here is Future Developments – a manufacturer supplying car care products and aerosols to large retailers up and down the country. 18 months ago, the firm inked a deal with Michelin where it became an official licensee for the UK and Ireland. 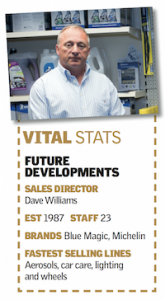 Dave Williams, Sales Director of the firm, explained: “We manufacture specifically for niche markets. We never had a brand before and Michelin came to mind because it was in local [Michelin has a niche tyre production facility in nearby Shelton] and they were keen to do it”. He continued. “We’re looking to create a brand over the next two to three years by bringing in and making products with a difference”. With 700 products to manufacture, a large space and the essential amenities are required. While touring the site, Future Developments seems to have all the facilities to hand with a 7,000 sq ft site containing three shipping containers for raw materials and bottles, an aerosol storage plant and a production warehouse where over 10,000 Michelin-branded products are produced each day, before they’re tried and tested on site. Once approved and set to the required standards, products are boxed up and packaged for distribution. Another well-used area is the mock-shop showroom, which has a plethora of retail products sporting the Michelin brand. 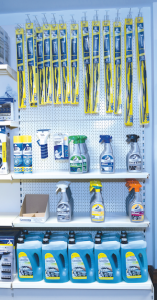 Wheel trims, inspection lamps and breakdown kits were displayed on shelves next to the firm’s other wares such as insect repellents and stain removers for the household domestics market as well as graffiti removal – a regular purchase among city councils across the UK. Ray Bowles, Managing Director of Future Developments, said. “We distribute all the Michelin wiper blades as well as snow brushes, ice scrapers, snow shovels and wheel trims”, adding that the firm has expanded its wiper blade distribution overseas. Williams mentions that retail customers can benefit from some handy upsell opportunities such as Michelin point of sale (POS) display stands. He adds. “Customers can purchase our promotion stands to upsell their products in store. Another example is our screenwash, which we’ve designed so it can interlock with other bottles for stacking in shops. From a retailer’s point of view, it looks presentable, doesn’t crush and is easier for stacking”. In addition, the team provide fitting videos and aftercare support to retailers and end users. While designing things like formulas and bottles is an element of the business, it is not the only one. 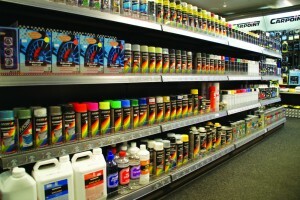 Williams highlights that the multicoloured triggers within the car care range are ‘unique’ selling points in themselves, whereby, each bottle has its own mechanism, designed to make application simpler for customers. He says. 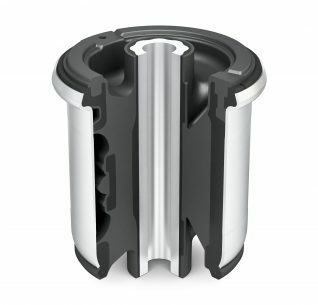 “We don’t just develop the product, we also develop the trigger. 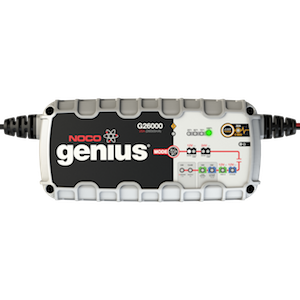 For example, we have developed a pre-compressed trigger which allows easier application and restricts any leaks onto fingers and hands during use”. A similar example Bowles and Williams demonstrated was their AdBlue container. Although this formula can’t be altered, this didn’t stop the team from creating another application solution. “We can’t make AdBlue different from anybody else because it’s a standard product according to regulations”, said Williams. “However, we can differentiate the way it’s delivered. We have done this by creating a siphoned nozzle with 360° action, which can be used in different positions to fill into the car”. Recently, a number of factor chains have expressed interest in the firm’s products. Williams expands. 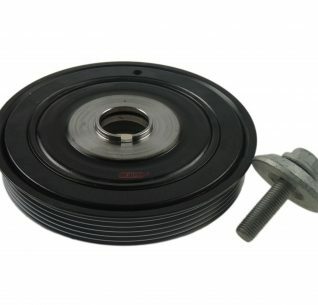 “We recently signed a deal with Euro Car Parts who are taking on the Michelin brand. 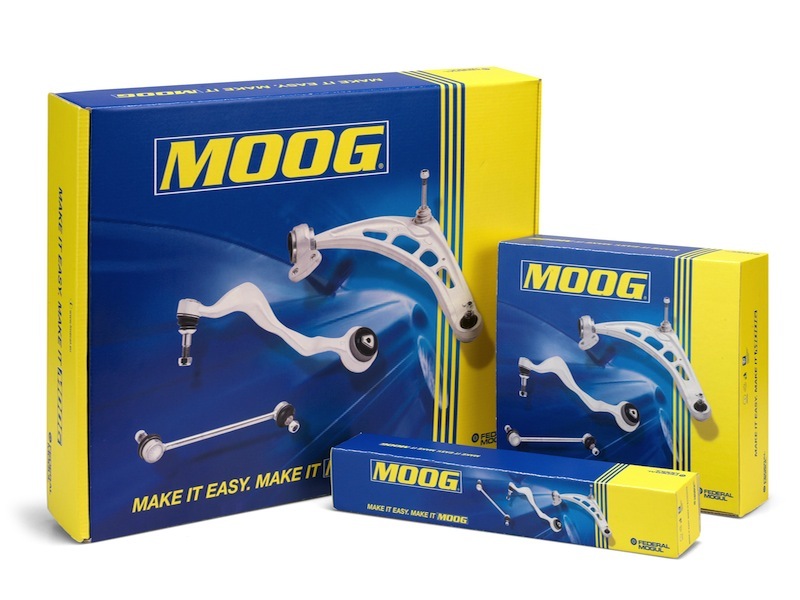 They requested a couple of products including our new Screen Wash sachets and they’re also stocking Michelin’s Tyre Pressure Monitoring Systems (TPMS)”, adding that the firm’s wiper blades have also sparked interest. Bowles and Williams have also been in meetings with battery suppliers, factor buying groups and accessory store chains, any of whom could become potential supply partners in the near future. 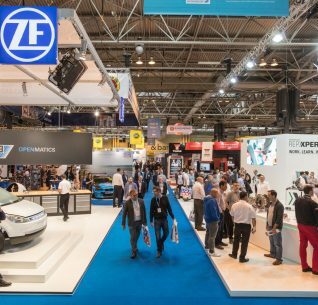 The firm is now planning to extend its fleet of vans and silver range of glass, leather and wheel cleaners (to name a few) launched at Automechanika Birmingham this year. Whatever market they’re supplying, the team will continue bringing out products that will not only make sales for retailers, but more importantly, ‘make life easier’ and simpler for the end-user. Retail giant Halfords has agreed a new eight-year contract with Clipper Logistics. The latest partnership will see the Leeds-based logistics company provide additional ancillary services and warehouse space to Halfords at its distribution centre in Daventry. The warehouse comprises in excess of 325,000 sq ft of capacity and has been developed as a multi-user facility, where the retailer will serve as a main customer. “Clipper began its relationship with Halfords last year”, said Steve Parkin, Executive Chairman of Clipper. “I am delighted that we have been able to demonstrate our ability to act proactively as a team and to develop solutions which will make a real difference to the Halfords business”. 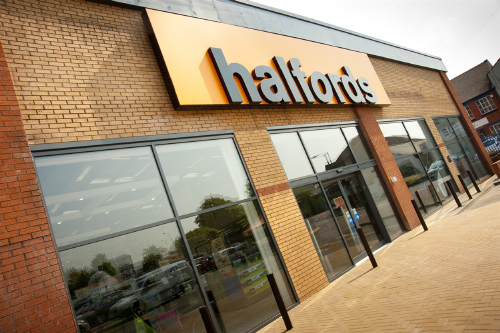 Richard Street, Infrastructure Director at Halfords, said: “We are delighted with the partnership to date which has enabled us to consolidate all of our external storage and enhance pre-retail services.”. Street said the firm’s other two distribution centres will be unaffected by this change and will continue their operations as normal. ARE YOU CREATING ‘THRESHOLD RESISTANCE’? Don’t entice customers into your premises or website only to have them walk out in disgust. Marketing is a process that should be in operation from the creation of initial awareness through to the physical point of purchase. Whether you are a garage business, accessory retailer or motor factor, your existing and potential customers are picking up signs and signals all the time and at different stages of the buying process. You’d like to think that the purchasing process is as simple as running an advert, the customer sees what they want, then the customer comes to you to make a purchase – job done. If only it was that easy. 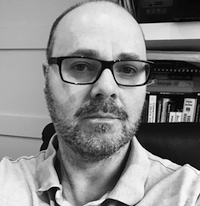 The problem is many focus on the early stages of their marketing, for example creating initial awareness, but neglect other aspects closer to the point of sale; failing to realise that there is still the potential for what is known as ‘threshold resistance’. Threshold Resistance is the title of a book written by retailing pioneer A. Alfred Taubman who states that ‘Threshold Resistance is the physical and psychological barrier that stands between a shopper and the inside of a store’. Of course, these days Threshold Resistance applies equally, if metaphorically, to online selling too (websites can give out the wrong selling signals). Ask yourself if you’ve ever come across a retailer or business where you just couldn’t bring yourself to go in? There are times when threshold resistance occurs, when there’s no reason for it to be there. This is when there are physical aspects to a business that are repelling customers. So, you’ve done all the heavy marketing lifting, you’ve invested a lot of money in attracting customers and you’ve brought them to the point of purchase. Unfortunately, the job isn’t finished here, you can’t yet guarantee the sale – you’ve got to get the customer through the door. If this doesn’t happen, you’ve blown all that investment in marketing so far, which is why businesses also have signage and point of sale displays – to help customers. But the reality is often customers are getting as far as the business ‘threshold’, be it a physical retail outlet, garage or online website, but resisting because they’re receiving the wrong signals. One of the biggest signals people base their judgements on at this stage of the marketing process is how your business and the people within it look. But there are still certain types of business that could do so much more to improve their perception, but have resisted making improvements to their physical environment. Unfortunately, many automotive outlets remain in this category. Many obviously consider that they fall outside of this customer judgment arena. 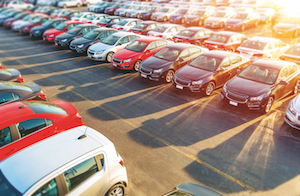 Well they may have in the past, but in an area where the dealerships and chains are seeming to excel, the independents must follow or risk losing out. Customer intimidation is a term that could be swapped with threshold resistance. It’s another thing that will destroy a sale. uneasy when making a purchase. Not only do they not want to make bad decisions, they also don’t want to be laughed out of the shop either. It is well known that some people, especially women, do feel intimidated by the garage environment. But I would say that garages, retailers and motor factors aren’t the only culprits. 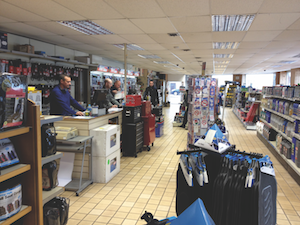 There are other trade counters such as plumbing, electrical and builder’s merchants that could make positive improvements through tidying up their appearance and coming across as less intimidating to customers. To customers, little things do matter. Customers do notice when furniture is threadbare, when floors and walls are dirty, when an environment is just plain untidy and this does reflect on their judgement. I once read an article about an airline where the CEO remarked that if a customer found a coffee stain on their fold-down table in front of their seat, they would think that the airline didn’t take care when maintaining its engines. what sort of signals are they giving out to people who see them? And what about dress- sense and personal cleanliness? Okay, garage environments can be dirty, but simple procedures can mitigate the customer having to see or witness this – we’re talking dirty overalls and hands here. You’ll notice that the likes of Halfords have tidy-looking staff. A very simple example that I particularly notice is when an independent garage or retailer, provides their employees with liveried overalls or shirts – this is something that is expected in big retail, but to me, an independent that goes to the trouble of putting their logo on clothing is more likely to apply more attention to detail on larger issues. In the grand scheme of all things marketing, the recommendation is don’t be deliberately putting people off buying from you. Improving your premises and how you look could be one of the most cost effective investments you could make to your business. Accessory brand Saxon has signed a deal with Motip Dupli B.V. of The Netherlands. The contract means they will become distributors of Motip branded automotive paint and products across the UK. Motip Dupli also produces the Dupli-Color and ColorMatic brands among others. Saxon is best known for distributing Little Trees, Ctek and Sonax. Neil Haines, CEO of Saxon said “Motip Dupli is number one in the European aftermarket paint arena. This agreement will enable Saxon to introduce the Motip brand to the UK market. We see this as fantastic opportunity to work with a premium partner and further develop our strategy of distributing market leading quality brands”. 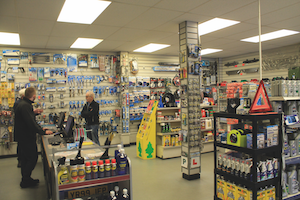 Halfords has reported a year-on-year dip in car accessory sales, blaming the mild winter. Overall, figures were down 1.9 percent, however this was partially offset by a strong performance in sales of wiper blades and bulbs as well as continued growth in fitting services. 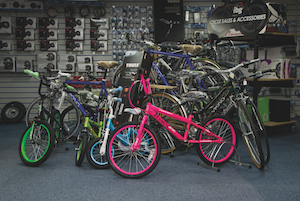 Bike sales increased by 0.9 percent after a flat couple of years, although there was a drop in the number of cycling accessories sold. Click-and-collect now represents 14 percent of retail purchases across the store.